Jackson County and the City of Medford contracted with SOU to provide government access programming in 1995, prompting an expansion and name change. Ashland Cable Access became Rogue Valley Community Television and expanded to the three channels (9, 14, and 15), which continue today on the Charter Cable and AFN Cable systems. The County Courthouse is also set up as an emergency communication center with the ability to access channel 14 directly in an emergency. Jackson County Board of Commissioner meetings televise live each Wednesday morning at 9:30am on RVTV Civic (Charter Cable Channel 181 / AshlandTV Channel 14) and replay Wednesday nights at 8pm on channel 9 and 10pm on channel 14, as well as Fridays at 10pm and Sundays at 10am. Land Use Hearings televise Wednesday afternoons at 1:30pm as needed, and the County Planning Commission meets the second and fourth Thursdays of each month at 9:00am. County Budget Committee sessions are also televised each Spring. All meetings broadcast live on RVTV Civic (Charter Cable Channel 181 / AshlandTV Channel 14) and are archived on the County website for viewing anytime. 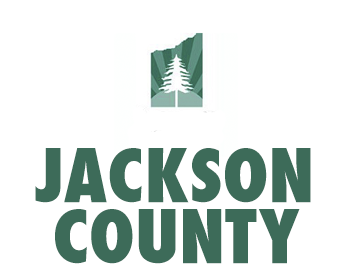 The County also produces a bi-monthly studio show, Jackson County Close Up, produced by the Five O’Clock Marketing Group. Watch LIVE studio programs on RVTV Prime (Charter Cable Channel 180 / AshlandTV Channel 9) weekdays at 6pm.